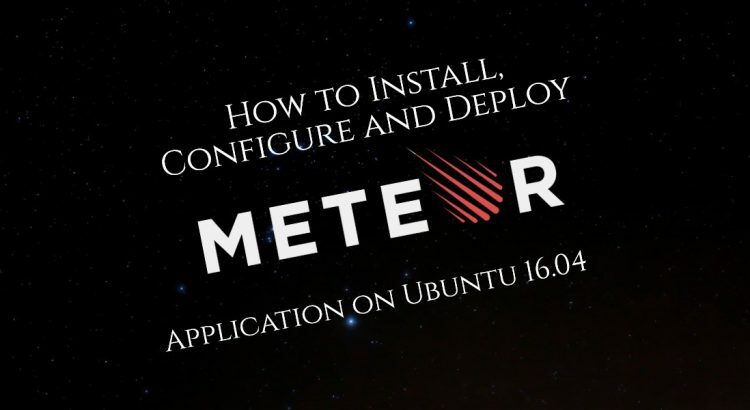 This will install the latest official Meteor release on your Ubuntu VPS. Once curl is installed, you can run the installation command for MeteorJS again and get the Meteor framework installed. If you are running the meteor command for the first time, it will take a couple of seconds for Meteor to be set up in your user’s home directory. Now the application is running on port 3000 and it is accessible from the local machine only. To make it accessible using a domain name you can set up Nginx as a reverse proxy on your Meteor VPS. First, install Nginx and set up a server block. 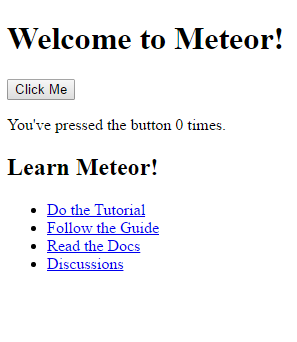 Restart your Meteor application and open your web browser. You should be able to access the Meteor application you just deployed using your domain name. If you see the welcome screen like the one below it means your Meteor application is successfully deployed. Of course, you don’t have to do any of this if you use one of our Software Installation Services, in which case you can simply ask our expert Linux admins to install MeteorJS on your server for you. They are available 24×7 and will take care of your request immediately. Hello. The post is very interesting. I am starting to learn meteor. When you talk about “Add the following lines to the Nginx server block ” i have a doubt. I have to add lines to /etc/nginx/nginx.conf. I want to say: Do I have to add those lines that to /etc/nginx/nginx.conf? Hello, Joaquin. It is best to create a new server block for your application at the following location ‘/etc/nginx/conf.d/’. Thanks for the post. Please how much space is required to install meteor? I mean the size it takes off my hard-disk.